Updated Thursday February 28, 2019 by BYB. 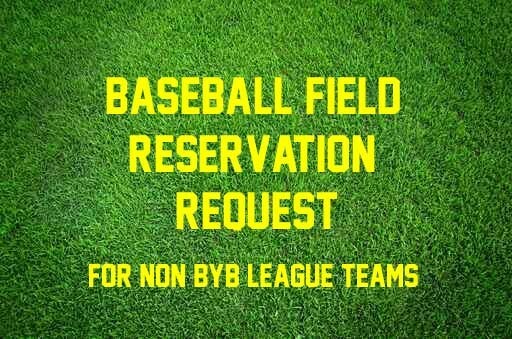 Bentonville Youth Baseball (BYB) handles the scheduling of baseball fields in Bentonville for February 25th thru and July. During this time the fields are primarily for the use of the teams playing in the Bentonville Youth Baseball Spring League or for the City of Bentonville hosted events, such as USSSA Baseball Tournaments. Field Requests will only be considered for the upcoming week (starting on Mondays and ending on Sunday) and request must submitted by the preceding Friday. Notification on Field Request for the upcoming week are verified on Sunday evenings. To receive field status notification due to weather updates please sign up for email and text. It is the best way to find out if the fields are closed. Only Bentonville City Maintenance Personnel are allowed to work on and or prep fields. No raking on laying down of any material on any City field is allowed.